Long before the Windows 10 Anniversary Update appeared, it was easy to see that Microsoft was putting more energy and effort into its troubleshooting tools. Here's a look at what's new. Long before the Windows 10 Anniversary Update appeared, it was obvious that Microsoft was putting more energy and effort into its troubleshooting tools. These are readily available by typing "trouble" into Cortana (or the search box, if you prefer) and then selecting the Troubleshooting (Control panel) result. What I didn't know at the time was that the future of Windows 10 didn't include fix-its. Say goodbye to Mr. Fix It! For the longest time, you could find an entire collection of repair tools designed to address specific Windows issues online. http://support.microsoft.com/fixit/. The charming repair man Mr. Fix It would appear on each of them. But if you check the afore-cited URL you'll find it now goes nowhere. 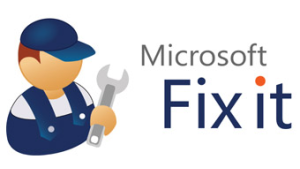 After casting about online, I discovered a support note from Microsoft entitled "Use a fix-it tool with Windows 10" that explains what's going on: "Fix-it tools aren't around anymore in Windows 10. Instead, use a troubleshooter to help solve problems with your PC."